What is the greatest miracle? It's not healing of cancer, raising the dead, or even parting the Red Sea; the greatest miracle is a heart opening to the Lord Jesus and accepting the Pardon that was given to him or her before the foundation of the world. Sister Davan had been suffering both physically and spiritually long enough. That’s when she said enough is enough and stopped listening to the voice that had been keeping her from her rightful place. 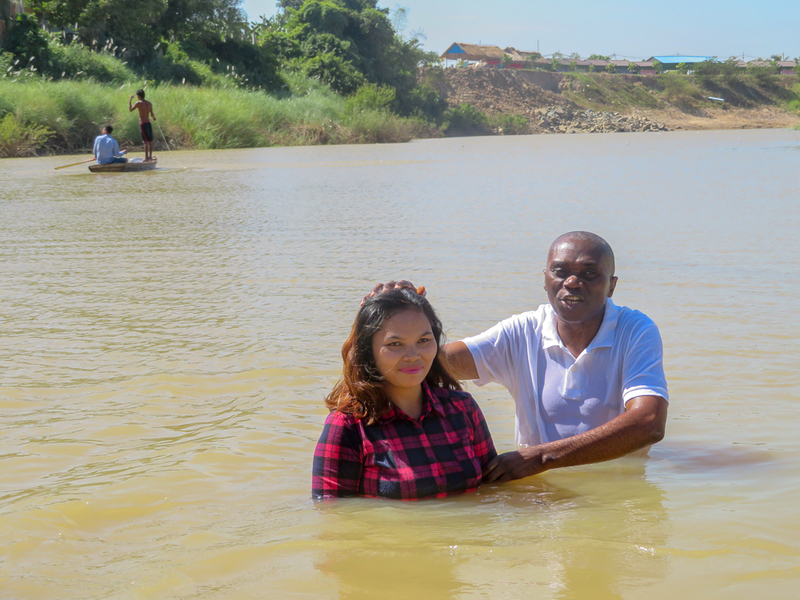 She took on the Name of the Lord in water baptism and received a long-awaited blessing. Now she is shining the Light to her fellow countrymen in Cambodia, telling others of the power of God in these last days. The devil does this to us many times, doesn’t he? Sister Davan had waited a little while longer, but it was time for her to listen to another Voice and to wait no longer. She listened to the Voice of God telling her to take her water baptism, and later God healed her. Sister Davan has been suffering from hemorrhoids since when she was 6, and she is now 28. It was in 2017 that I came to know her husband, who later became a worker with VGR in Cambodia. They both have been attending Sunday service during that time. She has taken many medications for the hemorrhoids, but nothing worked. She had asked for prayers time and again for the Lord to heal her. There are times she would struggle to come to church just bearing the pains. Several months passed, and one Sunday morning I asked if there were people in the church who wanted to take water baptism and a few raised their hands, her being one of them. We read the Scriptures and had a teaching on water baptism. They confessed their faith in the Lord Jesus, and we went to a river and I baptized them in the Name of the Lord Jesus Christ. Sister Davan continued to suffer the pains of the hemorrhoid, and there were times she would cry in desperation to the Lord. However, she listened to sermons like “Be Certain Of God” and other sermons that have been translated to Khmer (Cambodian) language to build up her faith as she kept on believing God. One day she realized all the pains were gone and she was completely healed. She became so light and free that it was almost unbelievable, and she told her husband. The husband even confessed that it was hard for him to believe it at first because, although he has heard and read many testimonies and has also translated many of the articles to Khmer language, it was the first time this kind of healing has happened in his home. It has been almost two months since her healing, and she has never suffered from the hemorrhoid again. Sister Davan is a sister who truly loves God. She would have loved to write her own testimony if she was able to write in English. 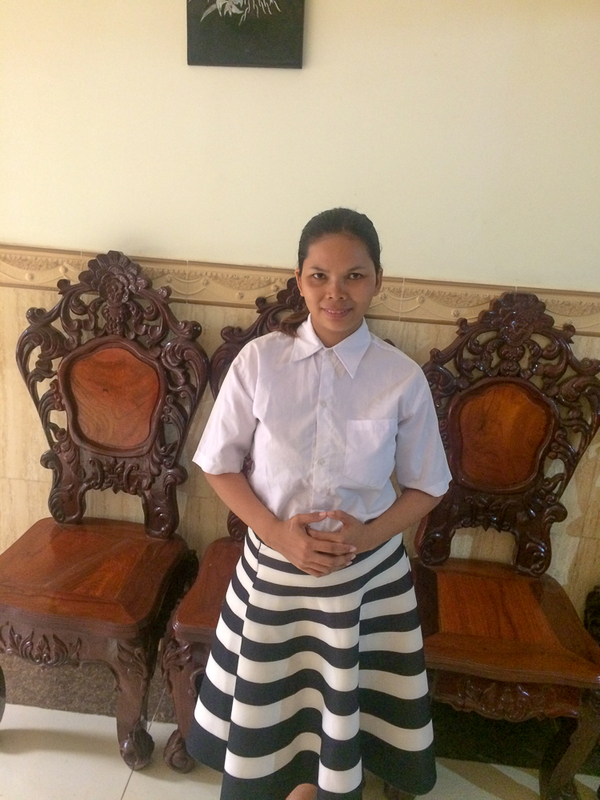 She has been very excited that I am sharing her testimony, and she too has been sharing her testimony here in Cambodia to all her friends and encouraging the sick to believe and be baptized in the Name of The Lord Jesus Christ.